offers the most comprehensive and up-to-date database of foreclosed homes for sale, including foreclosures, short sales, preforeclosures, sheriffs' sales and real estate auctions. Foreclosures refer to bank and government seized real estate for sale. We gather and compile this listing information from hundreds of foreclosing lenders and government agencies and provide them to our subscribers in a uniform and easy to use format. 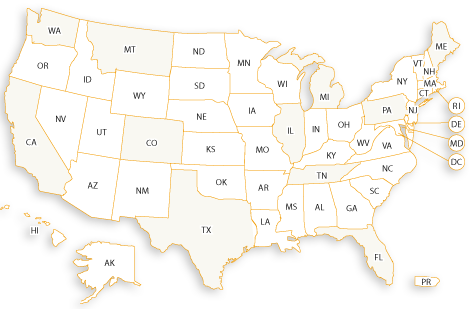 Our database of foreclosure listings includes HUD homes, government foreclosures, bank owned properties, lender foreclosed homes for sale and much more. In states that follow judicial foreclosure action, preforeclosures represent properties whose owners are in default of their mortgage obligations but who still retain title to their properties. This is a great source of leads for both investors and Realtors who may be looking for motivated owners wanting to sell before losing their properties to foreclosure. A sheriff’s sale is a public auction conducted by a local sheriff to liquidate properties of owners for the non-payment of debt or other obligations. Depending on the number of competing bidders and the flexibility of the foreclosing lender or government authority, substantial discounts in price may be achieved when acquiring properties through a sheriff’s sale. Our short sale listings represent homes offered for sale by a home owner at a price below the remaining mortgage value. Since the mortgage lender has to take a loss in a short sale, its approval of the sale price is necessary. Short sales are beneficial to all the parties involved and especially to buyers who tend to realize deep discounts in sale prices. A rent-to-own home is a property that is rented for a period of time with the tenant having the option to purchase it on or before the rental period expires. This is a good way for a buyer with less than perfect credit or little cash to secure a house he or she can buy later. Bankruptcy properties represent real estate seized by the courts following insolvency of the owner. Our bankruptcy property listings provide home buyers and investors the opportunity to buy real estate at a fraction of market value. When companies, governments or individuals want to liquidate foreclosed real estate, they can turn to auctions as a means to an efficient and quick sale. Since sellers wish to liquidate their properties quickly and since buyers are generally looking for bargains, substantial savings in sale prices are easily achievable with auctioned real estate.